Our range of floating oil skimmers are sold to companies who are looking to remove oil and other debris in commercial applications. Our oil skimmers are sold as a stand alone product, however you can contact us for information regarding additional pumps hoses etc to suit your application. The oil skimmers are patented, made from marine grade stainless steel and we have polypropylene models that withstand even higher levels of heat and corrosive or caustic agents. These floating oil skimmers are essentially floating weir oil skimmers that are easily and quickly installed. They are lightweight so can be carried by one person and especially suitable as part of a mobile oil spill response kit. Fixed self adjusting oil skimmers are designed to be used in situations ranging from light industrial water purification applications to heavy high turnover situations exceeding 25 thousand litres / 6.000 US gallons per hour. Dragonfly's industrial skimmers are produced using Marine grade 3i6 stainless steel with polypropylene and polyethylene fittings. The polypropylene skimmer is made entirely from polypropylene and is made to deal with highly corrosive liquids that stainless steel cant deal with. These lightweight and robust surface skimmers are designed to be used in both confined or open spaces where contaminants are required to be removed from the surface of liquid. Organisations that have purchased our floating oil skimmers in the past include Ampol, Shell, BP, USA Navy, Australian Navy, SCI Corp USA, Argyl Diamond Mine, Roads and Transit Authority, part of the state government in Australia, Caltex, BHP, Oil Spill recovery kit distributors, Engineering companies, and many more. Bulk / trade pricing is available, distributor enquiries welcome. What pumps are suitable to use with Dragonfly Oil Skimmers? The preferred pumps to use are positive displacement pumps such as helical rotor pumps or double diaphragm pumps. 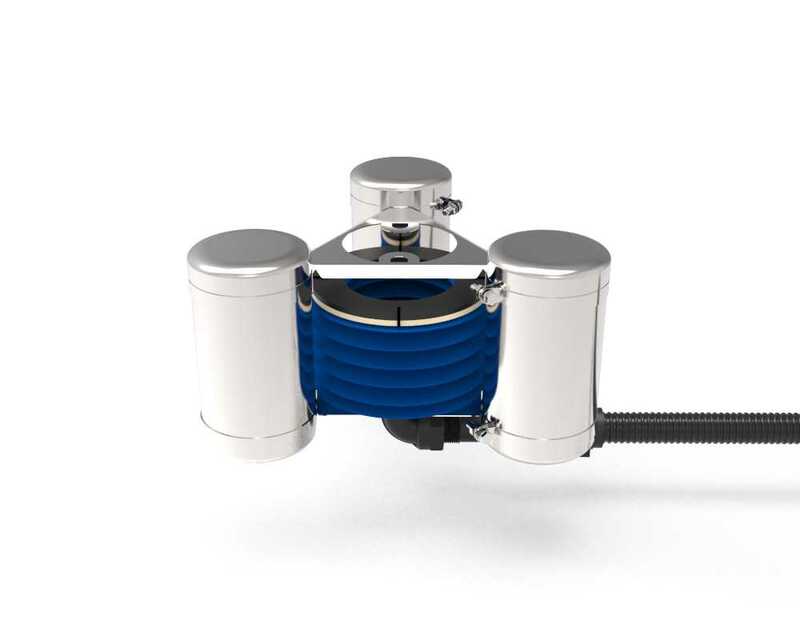 Single diaphragm pumps are not recommended as they tend to bounce the skimmers on the water’s surface thereby impeding the skimming action by emulsifying the liquid and leading to possible damage to the skimmer. Can Dragonfly Oil Skimmers be customised to individual applications? In most cases we can modify our skimmers or supply accessories in order to suit your application or requirements. We can also supply pumps and other products to suit. Contact us at any time to discuss your individual requirements. We also sell a floating pool cleaner, suitable for use in swimming pools.